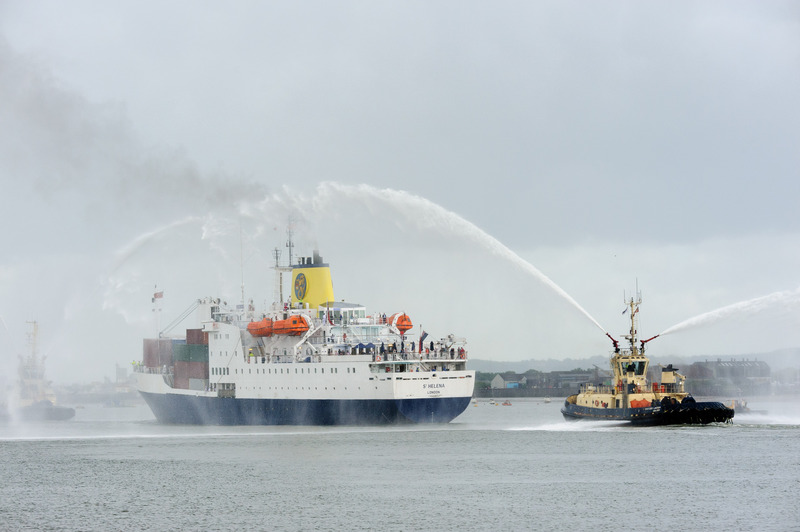 One of the world’s last working Royal Mail Ships, the RMS St Helena, left the London Cruise Terminal at Tilbury today (14 June) on her final sailing from the UK. For the last 26 years she has been the only means of access to the remote island of St Helena, an Overseas Territory of the UK located 1,200 miles off the West Coast of Africa in the South Atlantic. Her current schedule will see her call at Tenerife, Ascension, St Helena and Cape Town. St Helena Government has extended the service of the RMS, which was due to be decommissioned on arrival at Cape Town next month, with a further three sailings between Cape Town and St Helena whilst awaiting operational readiness of St Helena Airport. Built in Scotland in 1989, the RMS St Helena is a combined passenger and cargo vessel and can accommodate 156 passengers. She is British registered, 6,767 gross tonnes and has 56 officers and crew. Made famous as Napoleon’s place of exile, St Helena is one of the most remote islands in the world. Every person travelling to or from the island and every item on it will have been transported there by the RMS St Helena, which has travelled over 1.1 million miles during her lifetime. A return voyage from Cape Town to St Helena (10 days at sea) for a shared 2-berth cabin on A Deck starts from £2,228 per person (excluding flights ex UK), including all food and entertainment on board. To see the schedule and to book visit: www.rms-st-helena.com.